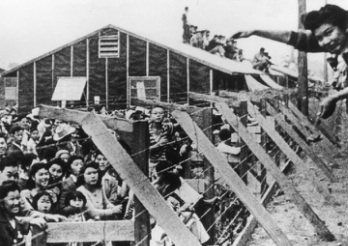 Over the following months, approximately 120,000 Japanese Americans, two-thirds of them native-born citizens, were forced to abandon their homes and businesses. 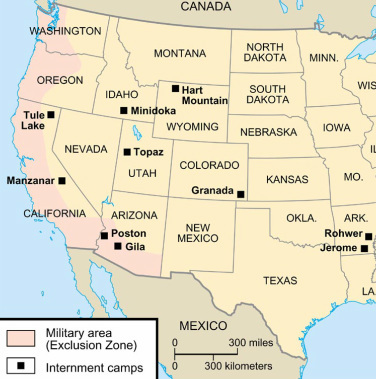 They were transported to the government’s internment camps located mostly in the desolate interior region of the West. They were placed there simply because of their ancestry. They've strung out wires all the way around. But that DAMNED FENCE assails our sight. But we're here because we happen to be Japs. Is someone's notion of NATIONAL DEFENSE!"